This Jawbreaker Collar Dress from Liquorbrand is a cute mini dress with a dark side. The alternative white shift dress has black polka dots, short sleeves and a contrasting black collar. 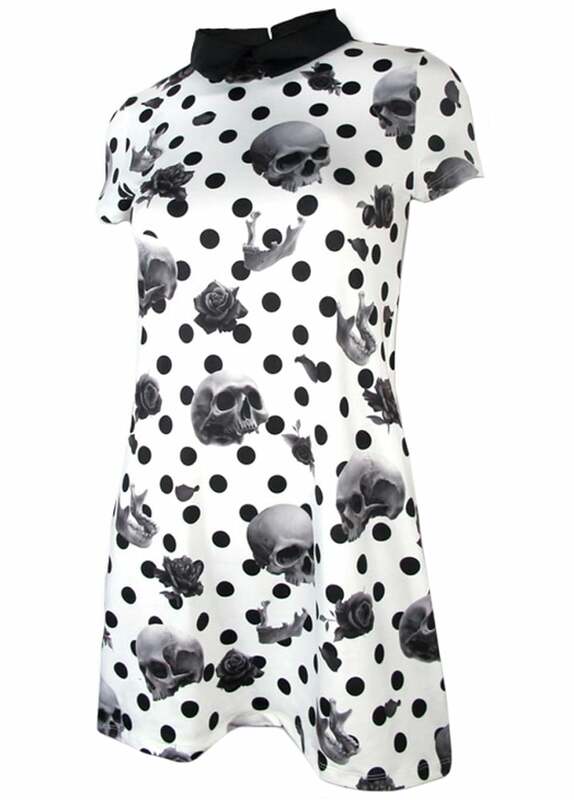 The all over print features bones, skulls and roses.